A green field project, the factory, located in the same town as IKOS CONF S.A., was built in almost 12 months, between 1993 and 1994. 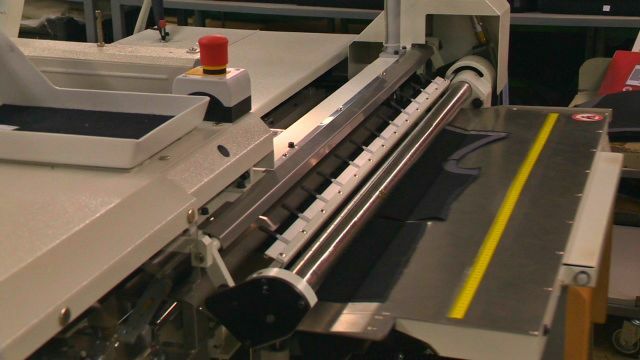 It is the first fully air-conditioned garments’ factory in Romania. From the very beginning it was endowed with the most up to date machinery and equipment, from renowned suppliers, such as Brisay, Brother, Durkopp, Lectra, Macpi, also implementing the most modern technologies, including the “electronic system following up production in real time”. NORADA S.A, named after Mr. Seroussi's three daughters Nora, Ramona, Delilah, is specialized in the manufacturing of men’s suits, jackets and trousers, of any complexity, from classical to wash garments, mainly on CMT basis. The annual production is about 250,000 equivalent suits, realized with a number of 900 employees. The factory is also prepared for full garment’ production, having a long and successful experience in this field, by being sole producer of “Seroussi” trademark, held by J & R Enterprises SRL, to whose development NORADA S.A. has greatly contributed. The Quality Management System of NORADA S.A. complies with ISO 9001 – 2008.